Home » Binary Options Trading Patterns » Make money on the longest decline of Apple shares since July 2016! Apple arises emotions among its customers, supporters, and haters with its products as well as at the stock markets. Currently, we are witnessing something unprecedented. A few days ago, the prices of Apple shares declined for five trading days in a row, the longest streak since July 2016. What is the cause and what we can expect from Apple shares right now? Except for four short intervals, the long-term growth of Apple shares has been continuing almost constantly since issued in 1980. Growth has been a typical phenomenon over the entire new era of the Cupertino-based giant. Since 2007 (the cost of a share was circa $ 17) with the introduction of the first iPhone by Steve Jobs, Apple has enjoyed a huge success with stock markets mirroring the crowds of happy customers. Fact: Did you know that the first iPhone presented in 2007 by Steve Jobs in his keynote was, in fact, a dysfunctional model used purely for presentation purposes? The growth of Apple shares was too fast and the shares became so expensive that in 2014 Apple had to dilute the shares diving a share into seven. This move was seen by investors as a next signal that the price of Apple shares was bound to further grow. The trend continued for about 6 months. Having in mind that nothing lasts forever, in June 2015 the price started to plummet from the peak ($130) which continued for about the whole next year till May 2016. The price hit the support line and bounced back up to its current historical peak of $ 142 per share. Chart showing the price of Apple shares over the recent 10 years. Current price reaching historical high!! Last week the price suffered a steep fall for five days in a row. Last time, we saw such a phenomenon in July 2016, so it is nothing that frequent. On the other hand, the decline of shares over the five business days was mere 3 dollars – so, nothing to write home about. In late 2016 (on 9 November 2016), Apple shares made such a fall over a single day, nevertheless, the loss was made up for in the next week. Can I make money on retracement or change of trend? To see so many daily negative candlesticks in Apple shares in a row is unusual indeed. Since trading is largely based on history and likelihood this should not be underestimated. The upward trend, currently underway with Apple, could offer a good opportunity to follow the trend, i.e. involving a minor retracement. Fundamental analyses support the retracement, too. For example, UBS has increased the estimated profit from Apple shares in the fiscal year 2018 from the initial $10.25 to $10.55 and the average price of iPhone sales from $667 to $692. Recently, we have seen some more interesting purchases of Apple for example Workflow, or demand for Imagination Tech. It is apparent that Apple has the right appetite and trust. This can be demonstrated by a massive order of OLED screens from Samsung for the new iPhones. On the other hand, the situation should be seen rationally. Admitting that Apple is much about emotion, the question is how much rational thinking makes sense with Apple shares. To find a company so much exposed to emotion is not easy. Perhaps Tesla (How to make money with tesla) but then a large gap before the chasing pack. This should be taken into account. Trading with Apple or Tesla shares should be viewed from the psychological point of view. What can we expect from the prices of Apple shares? In the previous chapter, we admitted both retracement and trend reversal. Thanks to emotion, the development of Apple shares is very difficult to predict. You may make analyses, know each detail about the product sporting a “bitten apple” in its logo but emotions will get you anyway. To end up saying that we can expect anything is, at first sight, useless even though this can be made use of, too. Will the price continue declining to the hypothetical support line as was the case in the most recent major downtrend? Either you can for long wait for the confirmation of a new trend, or already start short-time trading of binary options. Binary options involve more efficient risk management fitting precisely Apple shares. Obviously, when trading binary options you may enter call/put to speculate both for growth or decline..
All you must do is to enter a CALL trade (when expecting that the price of Apple shares grows in the few next minutes). If not, you should enter PUT. Make this test right now below on this page. Given the emotions factor, when trading Apple shares are cautious more than usual. On the other hand, you do not have to avoid these shares. Knowing that emotions raise volatility, you can use this to your own benefit in the trading of binary options. 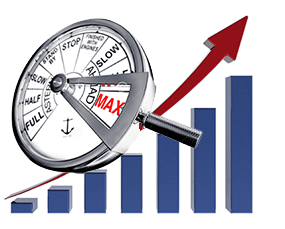 Higher volatility and worse predictability play in favor of trading binary options. How does trading work? Take a test!